It is fun to work when you are surrounded by nice people. A work seems to look easy if you are getting along with your co-workers. It is a nice idea to give something to your colleague on special days like birthdays and Christmas. If you are looking for a gift for a male co-worker you are on the right page. Here is a list of gift suggestions that you can give a male co-worker for any type of occasion. Don’t worry you won’t look like you have a crush on your co-worker if you give him a gift. 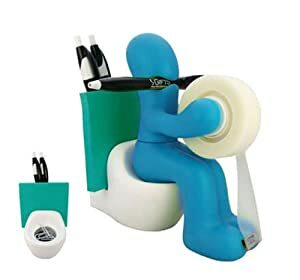 If you find your co-worker’s desk is a mess, you can give him this gift item and he will surely thank you from the bottom of his heart. If he has a lot of sticky notes all over his monitor. This gift idea is so cool and neat. Just put in some batteries and this cool note board will do its thing. It seems nothing really changed when you turn it on, but actually what you can’t see is the electricity that flows though the note board. In this way it attracts papers to it as if there is an adhesive to stick the papers. This is really a cool gift idea. Are you looking for something to give your co-worker on his house blessing day or maybe his bachelor’s party? Well this gift idea is perfect thing to give on any occasion. What makes it unique is its great design. Who would think that R2-D2 can be a bottle opener. Besides having a cool droid design it also has a magnet that makes it easier for you to keep. Place it on your refrigerator door and the next time you need it you know where to find it. Recharge yourself with a mug of hot drink. This mug can hold up to 10 ounces of hot beverage. Be amazed to see how the battery lights up when this mug gets hot. It looks like a battery charging whenever the hot water touches the battery area. It is made of ceramic and it would best to wash it by hands because extreme temperature can ruin n the color changing part of this wonderful mug. This is gift idea suits any kind of occasion. Sometimes we also have to put a little humor on what we do no matter how busy we are. This amusing office gift functions as a pen holder keeping all pens in place, a tape dispenser and cutter to make office tasks easier and a paper clip magnet to make sure they won’t clutter all over his desk. This is a fun art deco gift you can give a colleague and this fits all occasion. He will love this gift for sure; it is functional and has a cool and fun design too. This is a gift idea that suits any male colleague’s taste. 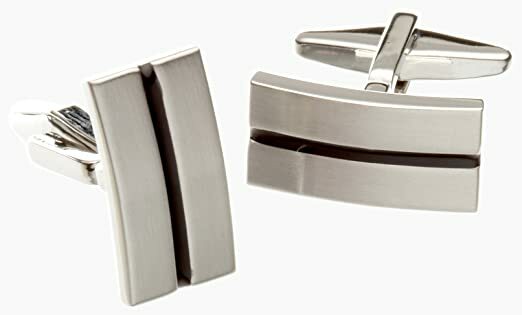 This cufflink set has a satin nickel rectangular shape with a very simple design. It has a black enamel inlay that gives an elegant look. You won’t have any trouble packing it because each set of this elegant cufflinks comes with a fabulous looking gift box. It also has a swivel lock making sure that the cufflinks will hold their place fairly well. This gift item is made of good quality product that makes it an excellent gift. 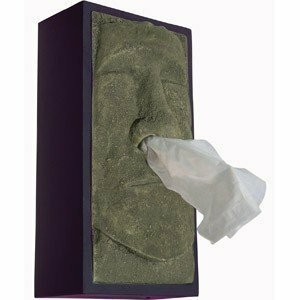 A tissue box that has a Tiki shaped head is an unusual gift to receive. It has textures resin face and a funny design. It has a big honking nose. Pull out the tissue out of the Tiki head’s nose, as if you are pulling out a tissue from a real nose, good thing this one doesn’t have mucus. All standard sized rectangular tissue boxes fit this Tiki head perfectly. Next time your colleague has cold and flu he wouldn’t feel that bad staying at home, at least he will still smile whenever he pulls out the tissue paper off the Tiki head’s big nose. Grab one for you too! Males can have fun even on just a simple thing. They are creative and jolly. Even simple bread will make them smile. This gift idea has a great design and function too. It is a great idea to give something practical and useful. This Domo toaster is a great gift to give. It has five toasting settings and it can toast two slices a time; just right for a warm peanut butter and jelly sandwich for a decent breakfast. 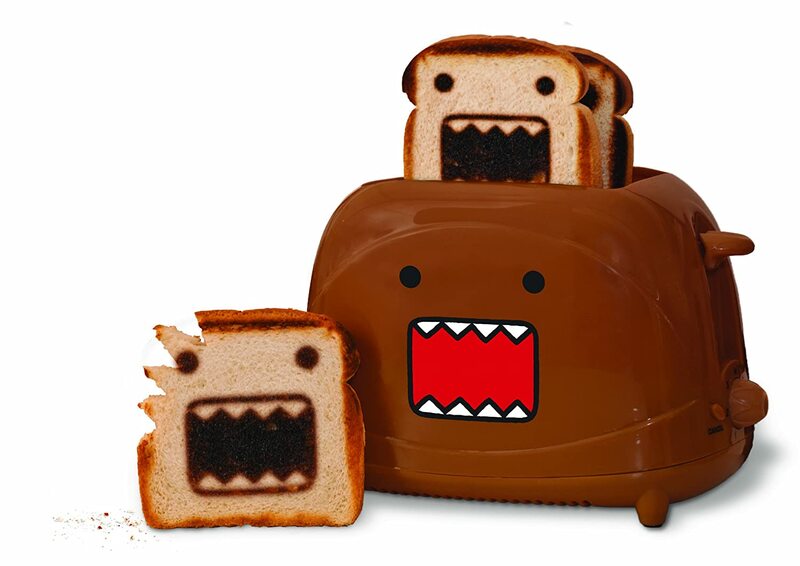 The cool part of it is it toasts bread with Domo’s face on it. It is made of lightweight plastic, stainless steel, zinc, alloy and aluminum. This material makes it a sturdy Domo Toaster. He will definitely enjoy a Domo breakfast every time he goes to work. An insulated mug as a gift is not a bad idea, actually it is one of the coolest gift ideas and it is one of the best pick. It looks like almost a real camera lens, but it is not. It is an insulated mug that can hold up to 17 ounces of fluid and comes with a carrying pouch. It is lightweight and durable making it a comfortable mug to use. It will keep beverages stay hot or cold for a longer period. Just do not be confused which one is the insulate mug and which one is a real camera lens because it really looks like a real camera lens. A working man needs to be presentable at all times. It feels better to look good whenever you go out for work. He should be prepared every time for surprise meetings or events. This gift idea will make shaving a fun way where in shaving can be done hassle free and it can shave faster compare to manual shaver/ Nanotech 30 has the sharpest blades. It can shave wet or dry hair. It also has an LCD display. It makes shaving comfortable and pain free. One of its important feature is it has a flexible head that follows the contours of his face. It won’t run out of battery because this gift idea is rechargeable. Not because they are male they do not have the right to have a toiletry bag. Your male colleage also needs to pamper his skin even for a bit. 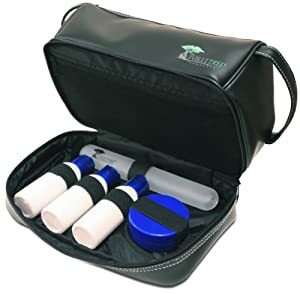 ToileTree products offers convenience when ever you travel. This gift idea is design to properly store all of your toiletries for travel. It has a double feature zipper compartment for easy access. It also includes small container for shampoos liquid soap and etc. And the best feature it has is this bag is made with a fully water resistant material. Traveling will never be a problem. This gift idea is perfect on any type of occasion. Whatever the occasion may be, a male colleague will appreciate a nice, thoughtful gift from you.